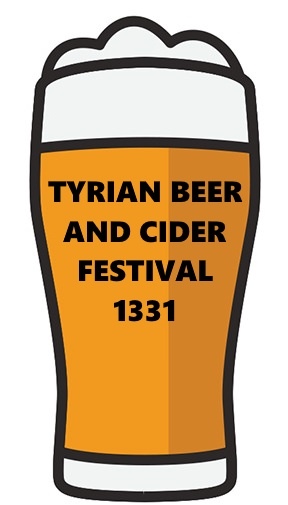 [EU] The Dandy Lions Carnival Presents- The Tyrian Beer and Cider Festival 1331! 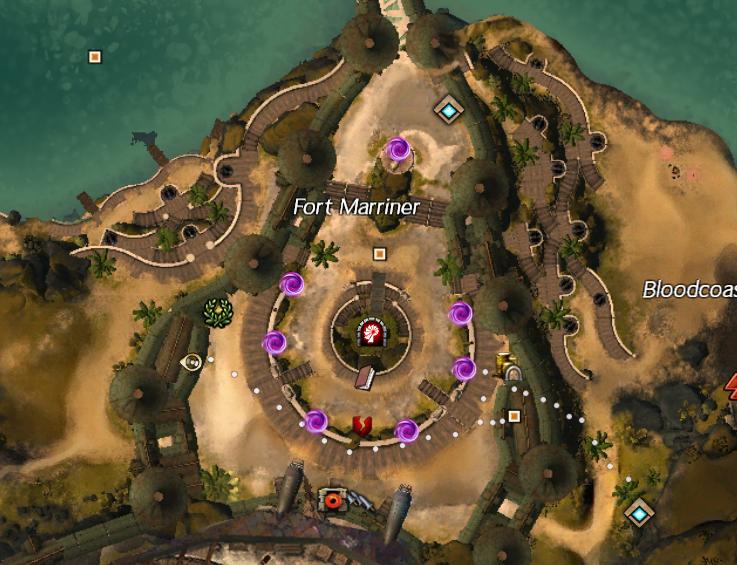 Forums » EU Events » [EU] The Dandy Lions Carnival Presents- The Tyrian Beer and Cider Festival 1331! Yes. A non-wrestling event. I know. Wow. Calling all brewers, distillers, people with large guts and wearers of socks with sandals! Or people generally who have an interest in quality alcoholic beverages! We invite you to sample in the offerings of the best of Tyrian beer! 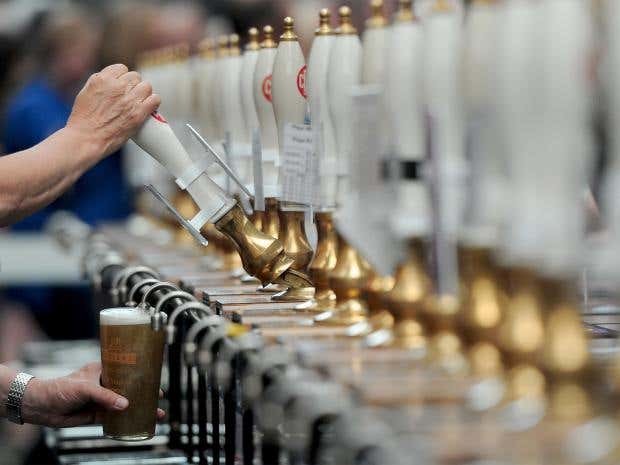 We also invite brewers to show their craft to the world for all to enjoy! 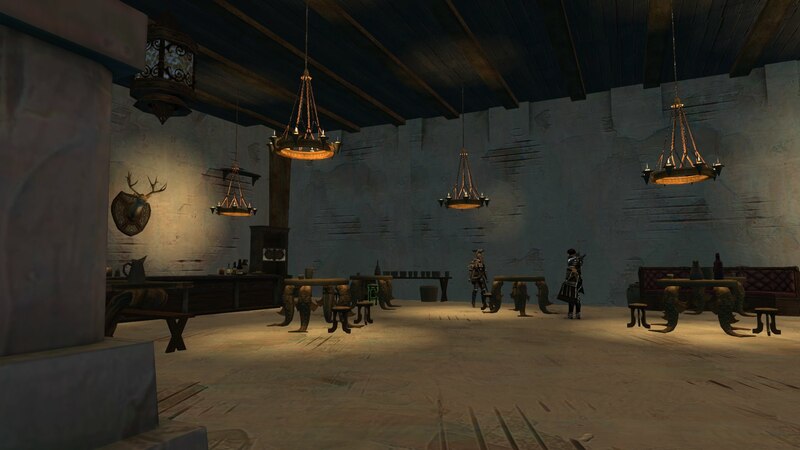 Lion's Arch brew hall, Fort Marriner. What kind of beer is on offer? A beer list from those close to the Carnival will be listed here soon, but there can and will be more! My character is a brewer, how do I submit beers/cider/perry/alcohols? The hosts will provide some light entertainment during the event. We'll be opening a poll on the evening for your character's favorite beer. Vote as they would as there will be a prize for the most popular! Description: A juicy IPA, loaded with delicious refreshing citrus and a hint of bitterness. Really easy drinking and perfect to enjoy in the sun baked Lion's Arch during the Phoenix season. Description: With it's malts delicately soaked over various wood fires and left to age in our famous Whiskey Oak barrels, this full bodied, deep amber cloured beer carries a light smokey flavor. Prevalent roasty malt flavors against the woody and spicy smoked notes. Somewhat bitter, the beer pairs well with raw fish, game meats, and pork cuts. Description: This beer combines mild crisp notes along with very full/bready malt flavors. Biscuity, nutty, and toasty accents are present. This stronger version can show a touch of caramel and roasted fruit, and is excellent with blue cheese or game meat. Description: Big blackcurrant red beer with a faded purple cap that retains well. Nose is tarte berry fruits, red apple skins, damp hay, lemon rind. Taste comprises mellow blueberries, sharp blackcurrant, grains, balsa wood, lemon balm. Medium bodied, fine carbonation, semi drying close. Very fruity and less sharp introduction to sour beers than traditional. Description: Surprisingly subtle fruity tones with bitter notes lingering after, a soft carbonation and mouth feel alike to champagne that well hides its ABV. Description: An expanded version of a popular nut stout for the event. Expect an even bigger coconut, Tonka, Cacao & Vanilla hit, to compliment the extra abv. Wrapped in a creamy sweet milk stout. Description: An indulgent imperial milk stout brewed with black molasses. Expect a velvety rich brew, with treacle toffee and dark chocolate. Description: A beautifully structured beer which is extremely rich in flavour but light on the palate. A fresh aroma of mango,peach and lemon offer hints of the depth of hop character that swells refreshing across the taste buds in a bold and tart fashion. Description: A North Ascalonian version of the fashionable Kryan South Coast hop-forward IPA. Bitterness is balanced by malt sweetness in our IPA and dry-hopping rounds out the aroma. Multiple hop types in this one, to justify the 'sunshine-in-a-glass' claim. Just what you need to brighten a grey winter (or even summer!) day! Description: A collaboration with the Iron Citadel based brewery Iron Castle. Purely Functional Dwellings is a hoppy blonde ale with a blend of Shiverpeaks and North Ascalonian yeasts (small proportion of Ascalonian) and heaps of Galaxy. Very interesting and drinkable beer - passionfruit and bubblegum! Description: Sunflower yellow that sparkles to the eye, light to the palate for its ABV but packed with a powerful hop profile from the beautiful galaxy hop. Description: A pale beer with light, passion fruit and lemon aromas and flavours and a refreshing bitter finish. Made with 100% low colour Maris Otter malt and Citra hops from North Kryta. Now dry-hopped with even more Citra for good measure! Description: Meet a Cannonball’s big brother; Get your taste buds ready for massive pine and candied orange aromas combined with bitter/sweet grapefruit and mango flavours all complemented by a deeply composed, satisfyingly malty base. Ever wondered what it feels like to be shot out of a cannon? Here’s what it tastes like! Malts - Acidulated, Golden Promise. Hops - Centennial, Citra, Columbus, Magnum. Description: A traditional Helles style Lager brewed with Elonian hops for a bolder, crisper finish. Take a journey through the Inferno by pairing refreshing Dante’s Helles with a spicy curry or warming chilli. Description: This sweet and sour gose is absolutely jam-packed with fruit. Like a summer pudding it’s filled with fresh flavours of blackberries and raspberries before being balanced with a subtle salty mouthfeel. Description: A lime, hibiscus and chilli gose brewed as the 1330 Rainbow Project, inspired by the colour red. Pouring a vibrant red, this michelada influenced gose has rich, savoury, sweet, chocolate flavours from a wide variety of dried chillies, tamarind, and cinnamon, accentuated by the bright tart flavours of hibiscus and lime. A subtle complexity of flavours followed up by refreshing tastes from the aguas de tamarindo, Jamaica, limón, and horchata. Description: Balancing chewy malts and herbal hops, an Extra Special Bitter is a Krytan beer style that's ironically low in bitterness & all about drinkability. We infused our version with Earl Grey Tea to add spicy and floral notes. A perfect choice for when you can't decide between a cup o' tea or a pint o' bitter. Description: A rich golden brown to the eye, orange blossom surges across a succulent shower of mandarin and lime. Rich and opulent and ever so refreshing. Description: Eureka with Citra explodes with citrus fruit on the nose and the palate, and finishes cleanly with light bits of cracker malt. Eureka is adequately kettle and dry hopped, resulting in a blonde ale that is hop saturated, yet delicate, refined, and pleasant to drink. We could not be more excited for this one! An example, and as a result our first beer! Please send me them via messages or in-game at TCGonBikes.6812! If you can use the above style, it makes creating a list of beer much easier for me! Hope to see you in two weeks time! I just -have- to participate in this! Here are two humble additions to the list.. Looking foward to the event!!! A reminder this is in 10 days! Excitement! And with that. More beer! Next up we have a much darker, strong beer from Divnity's Reach! With but 5 days left, guess what we have. That's right. More beer! Two days to go! Complete beer listings to come tomorrow! With the event starting in just over 24 hours, what better time to add the final beer listings! Just 3 hours to go before the party of the boozy year! Shard information will be released an hour before, so watch this thread! Tonight's event IP is 35.156.132.82:0! Please contact TCGonBikes.6812 for a taxi!